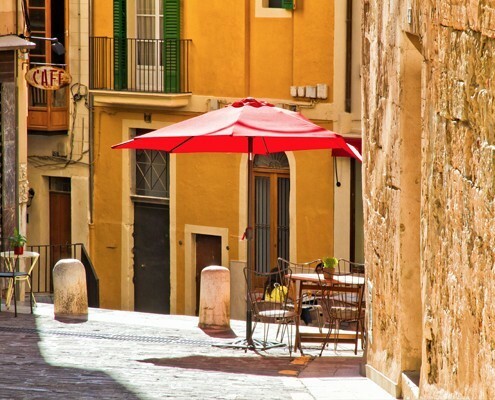 Top neighborhoods in Palma: all you need to know! As you already know, at Nakar Hotel we want you to enjoy the best of Palma. We love this city very much and we are also really fond of many things going on in Mallorca’s capital city. When staying at Nakar you’ll have one big advantage: you’ll be just where you should be when it comes down to discovering Palma. So today we wanted to tell you all about Palma’s best neighborhoods and what we love so much about them. 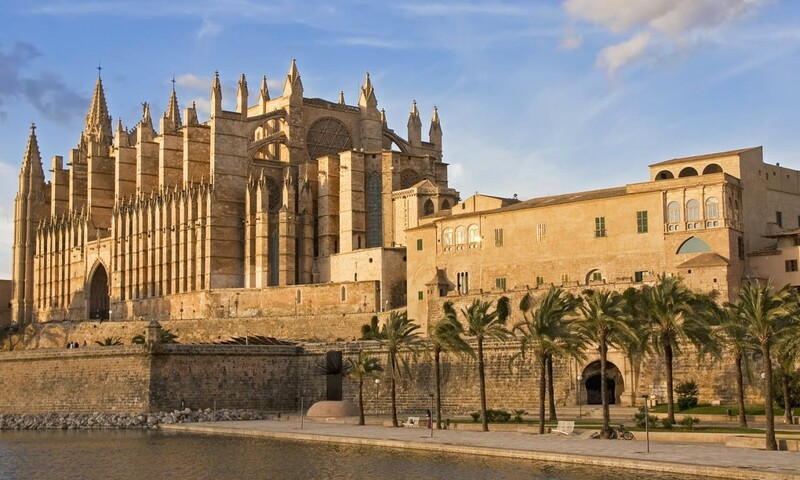 Let’s go and fall in love with Palma! Located right in the heart of Palma’s old town you’ll find the area of Calatrava and Dalt Murada. It’s a must visit for everyone who’s into architecture, as it gathers some of the most impressive and beautiful buildings in the city. With countless old mansions, interior courtyards and centuries of history a stroll through this area will show you some of Palma’s finest. Calatrava is actually the area located around the Cathedral La Seu and most of the properties are in the buildings from 12th to 19th centuries. 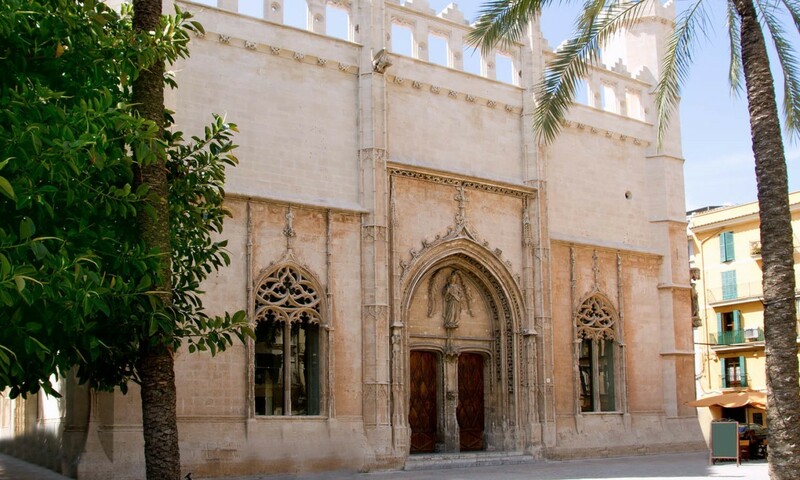 Both, Calatrava and Dalt Murada areas, offer narrow cobbled streets, as well as bourgeois palaces, churches and other medieval buildings, reminiscent of Palma’s past: a true gem you must pay a visit to. The former merchants meeting district has become one of Palma’s most emblematic and popular neighborhoods. This neighborhood has been built around one of Palma’s most imoprtant gothic landmarks after which the whole area was named: La Lonja. The building, where merchants used to meet and exchange their goods, has been preserved as one of the city’s buildings of cultural interest. 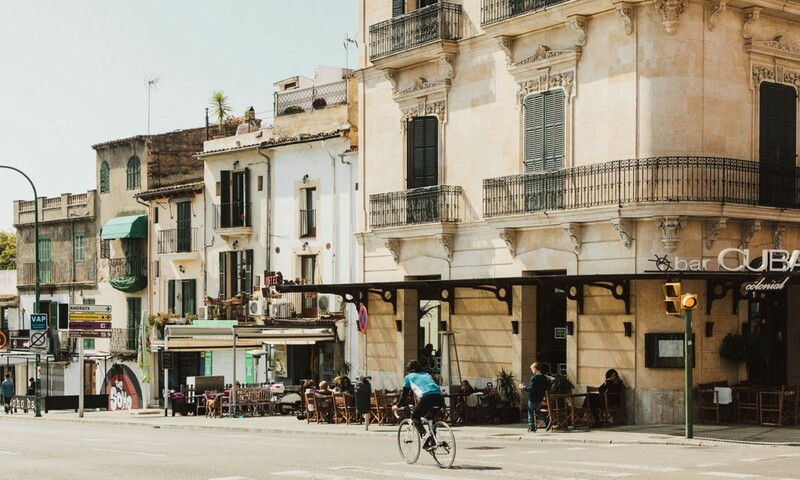 The impressive building is now used for temporary art exhibitions and has become the center piece of a neighborhood known for being the meeting point for having a nice dinner, drinking an afternoon-coffee or having some ice cream (check out ‘the best ice-cream in Palma’). With a rare combination of being a quiet neighborhood in the morning and becoming alive at 7 pm, La Lonja and its little narrow streets are now one of the lively and trendy neighborhoods in Palma. There’s absolutely no chance to talk about Palma’s top neighborhoods without mentioning Santa Catalina. The former fishermen distrcit which was roughly forgotten in the 70’s, but came back to life thanks to the neighboors initiative to restore it, is now Palma’s coolest neighborhood. The Santa Catalina market is the heart and sould of this neighborhood, attracting visitors not only to purchase fresh fish, meat, vegetables and fruits, but also to live the famous ‘market experience’. For having a delicious breakfast, some drinks, a beer and some tapas at the well-known ‘Bar Joan Frau’, the market is a must. And around the market you’ll find some very refreshing shopping options, vegan ice cream and all kind of restaurants. And just like all paths lead to Rome, all paths in Palma lead to Nakar Hotel. 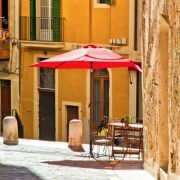 The last, but not least, neighborhood you’ll really enjoy when visiting Palma, is the area of the Passeig des Borne, Av. Jaime III and San Nicolás. 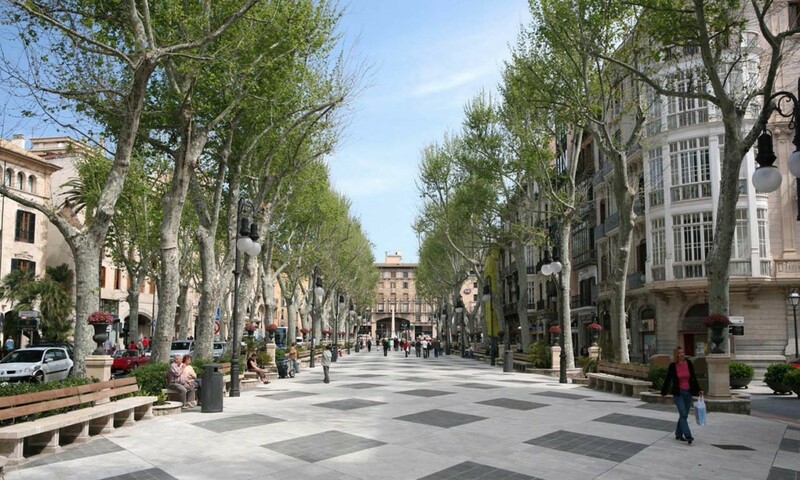 Starting just from Parc de la Mar, Passeig des Borne is Palma’s most luxurious shopping street. In addition to Lous Vouitton, Carolina Herrera, Relojería Alemana, Tous and many other shops, it’s also one of the most beautiful streets in the city. With high trees known as ‘plateros’ it offers an idyllic stroll through the city. But there’s more: just when the Passeig des Borne comes to an end, there’s Jaime III. THE shopping street in Palma offers not only a nice walk in the direction of Paseo Mallorca, but also a high-end and varied shopping offer. There’s no going home without having visited Mango, Scalpers, Women’s secret or El Corte Inglés. San Nicolás, on the other hand, is the little area surrounding the church of the same name. Hidden on the right side of Passeig des Borne this area continues to offer all kind of Majorcan and international shops, hairsalons, lovely cafés and art galleries. You can always wrap up a perfect shopping experience through the area having some Drink(s) up at Nakar Hotel!